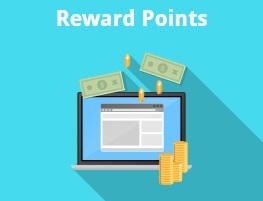 Make your customers more loyal by providing them with reward points for shopping, subscribing to a newsletter, registering an account, writing reviews, or achieving other small goals. Create flexible earning and spending rules to get the maximum efficiency from your loyalty programs. This will help you increase sales and turn first-time buyers into returning customers. To implement the desired functionality, you can choose one of the following Magento 2 reward points extensions: Aheadworks Reward Points, Magestore Reward Points, Mirasvit Reward Points + Referral Program, and Amasty Reward Points. 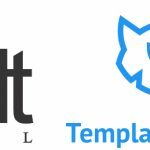 Below, we compare these Magento 2 reward points modules to find out their strengths and limitations. Before going to the in-depth exploration of the Magento 2 reward points extensions, let’s see what their developers write about them. Each Magento 2 module has some core features, and they are listed below. Backend usage stats and balance editing. 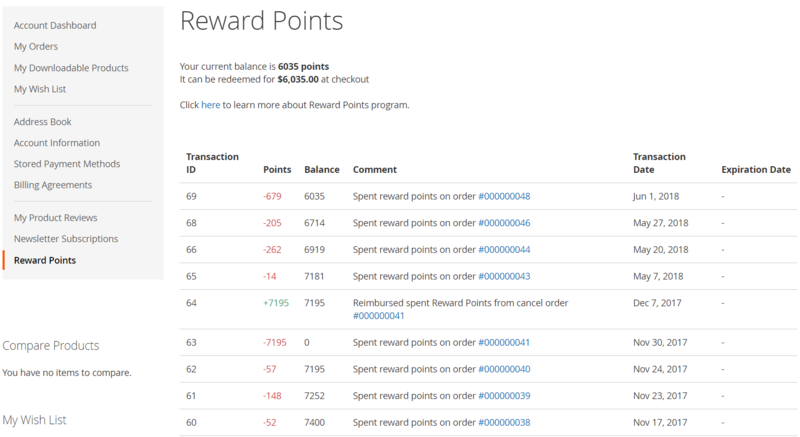 Possibilities to manage reward points in the backend. It seems that all four modules have lots of common features, so let’s explore their backend sections to discover core differences. 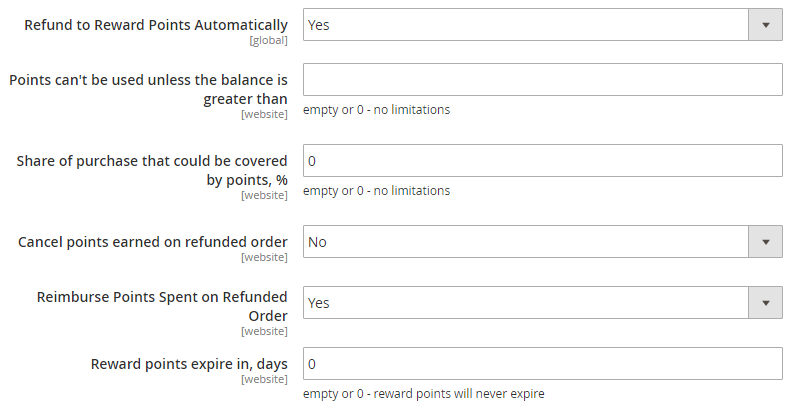 The first and the most important thing about Magento 2 reward points extensions is the ability to create flexible earning rules. All four modules offer a slightly different approach to this process, that’s why we describe it below in detail. 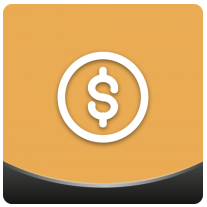 Aheadworks allows you to create earning rules right in the configuration section. First of all, the extension enables you to provide customers with points based on their lifetime sales. Store views and customer groups are fully supported here. 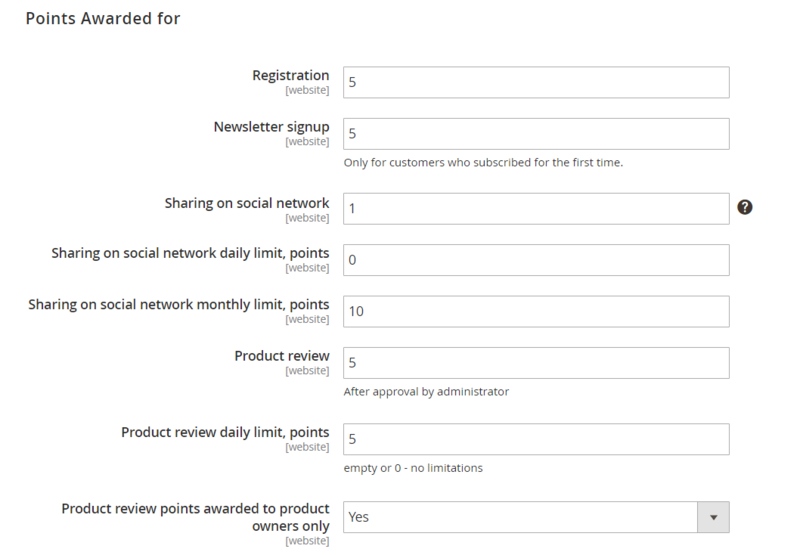 Next, you can set the number of points for various actions, as well as set daily/monthly limits on these actions: registration, newsletter signup, sharing on a social network, and product review. In case of the Magestore Magento 2 reward points extension, there is a special section with earning rates. It contains the grid with all existing rates, as well as allows you to create new earning rates manually. 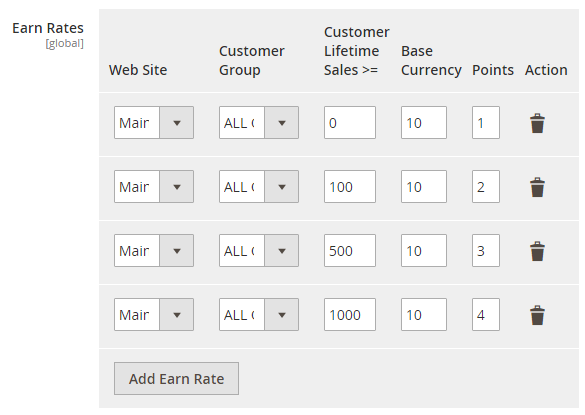 While adding a new earning rate, specify such parameters as “Amount of money spent” and “Earning Points” and choose store views and customer groups. 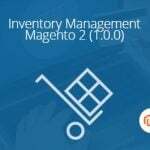 It is also necessary to mention that the Magestore Reward Points Magento 2 extension allows admins to give points back to customers instead of making a refund. Although it is not an earning rule, we should have mentioned this feature. As described above, the same functionality is available with the Aheadworks extension. To add a new rule, you need to specify its name, select type (product, cart, or behavior), choose a period of activity, websites, and customer groups, as well as decide whether to stop further rule processing and set priority. Next, select an event for the rule and create conditions to make it more precise. The last thing you should do is to configure notifications for the rule. 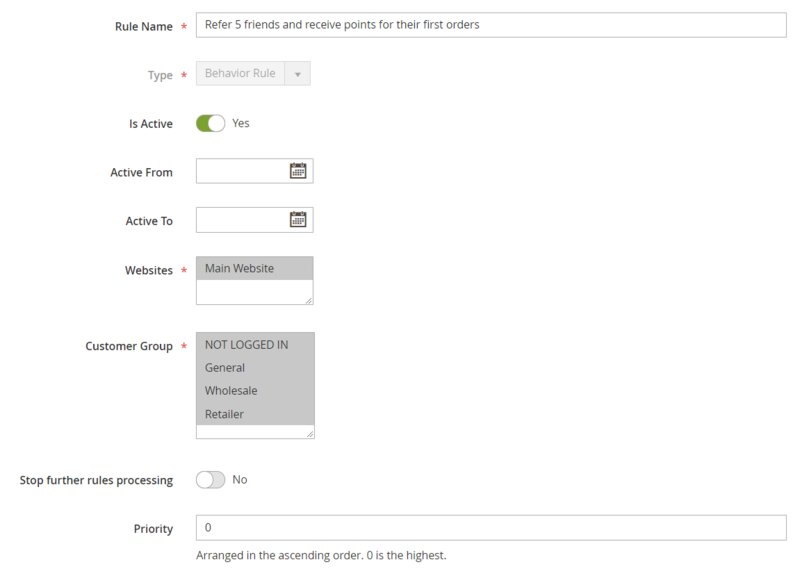 For each rule, you specify a name, status, store view, and customer group. 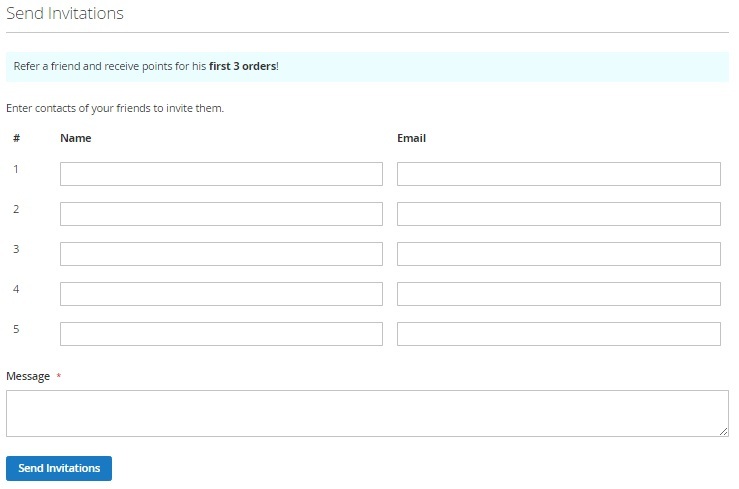 Then, select an action (Order Completed, Newsletter Subscription, Customer Birthday, For Every $X Spent, Registration) and specify the amount and spent amount depending on the chosen action. Depending on the selected action, you can also create conditions to make the rule more precise. Under the Labels tab, the extension provides the ability to create the default label and store view specific labels. So, let’s try to figure out the first set of strengths and limitations of the compared Magento 2 reward points extensions. While Aheadworks doesn’t offer the flexibility of Mirasvit, its module has the easiest and the most intuitive interface. Magestore provides a limited set of actions for applying rules, but you can use this Magento 2 module to cover refunds. Mirasvit and Amasty offer the most flexible and advanced earning conditions. So, what about spending rules? 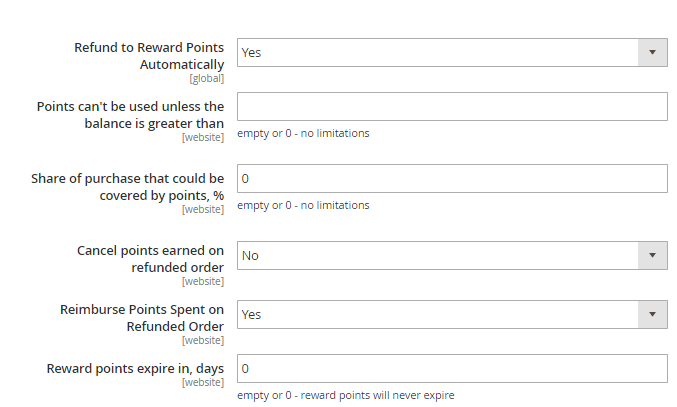 As for the Magestore Magento 2 Reward Points module, it has a dedicated grid with rules. The extension allows specifying the number of spending points and the received discount, set various limits, select store views and customer groups, as well as set priority. Spending rules of the Mirasvit Magento 2 reward points extension are gathered in the grid as well. For each new rule, you need to specify its name, period of activity, websites, customer groups, further rule processing, and priority. 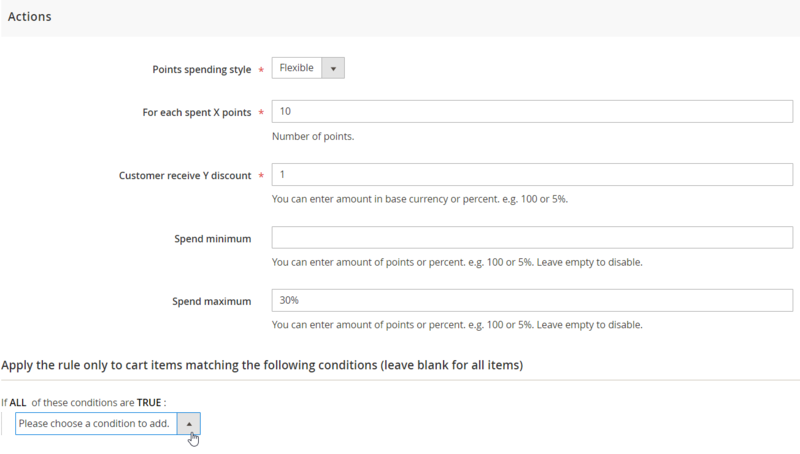 Then, create actions: For each spent X points (specify the number of points); Customer receives Y discount (enter the amount in your base currency or percent: e.g., 100 or 5%); Spend minimum and maximum (points or percent; leave empty to disable). 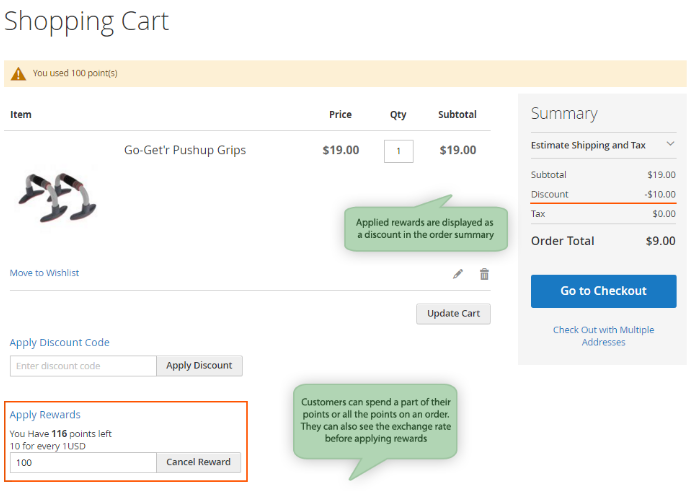 It is also possible to create additional cart items conditions here. 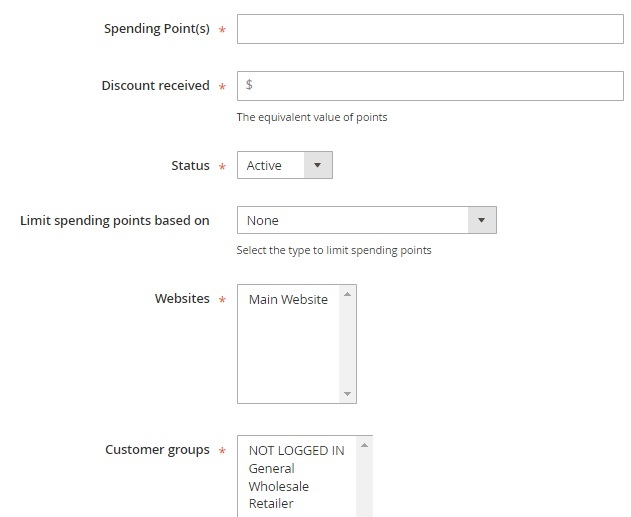 As for the Amasty Magento 2 reward points extension, spending rates are limited to one rule. In the Configuration section, you specify the number of points equal to one unit of the store currency. 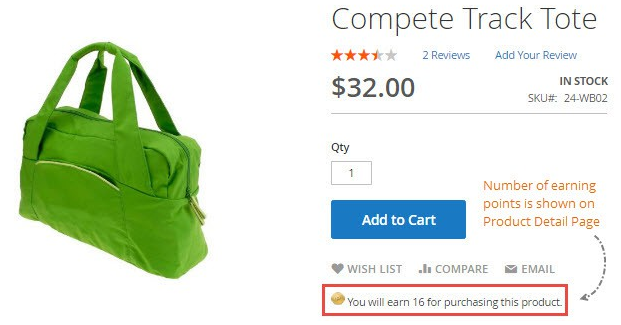 Probably, the most limited extension in regards to spending rules is Amasty Reward Points, since it offers only one spending rule, but at the same time, it is the easiest to configure. Mirasvit provides the most flexible solution. As for Aheadworks and Magestore, they combine flexibility with user-friendly interface considering limitations caused by the earning rules. Reward points expire in, days. 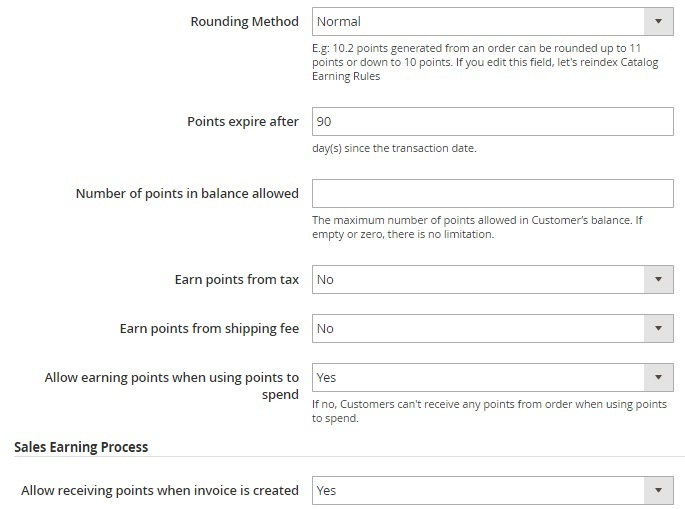 Earning points configuration of Magestore allows selecting rounding method, set points expiry and maximum points balance, and enable/disable receiving points from tax/ shipping fees and earning points when using points to spend. 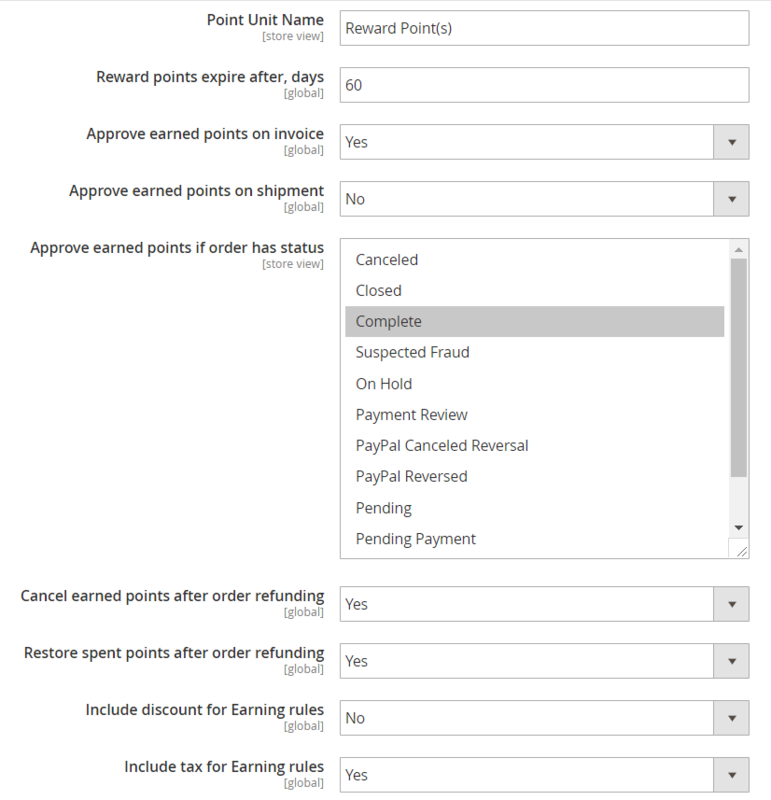 “Allow receiving points when invoice is created” and “Hold point transactions for” are two other options available here. Allow using points for Shipping Fee. Allow to display maximum amount of possible points for configurable product. 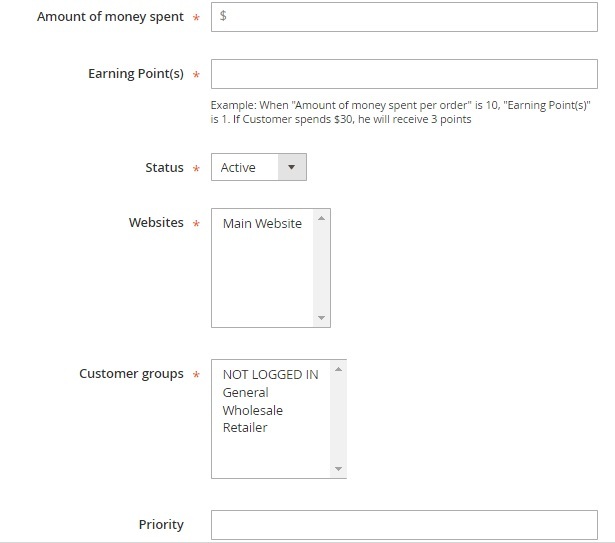 As for the Amasty Reward Points Magento 2 module, it has no additional settings for earning and spending rules. Although it seems to be less flexible than the other compared solutions, we think that it provides enough parameters to configure earning and spending options. Now, let’s figure out which Magento 2 reward points extensions provide manual balance editing. The Aheadworks Reward Points Magento 2 module contains a grid with transactions. 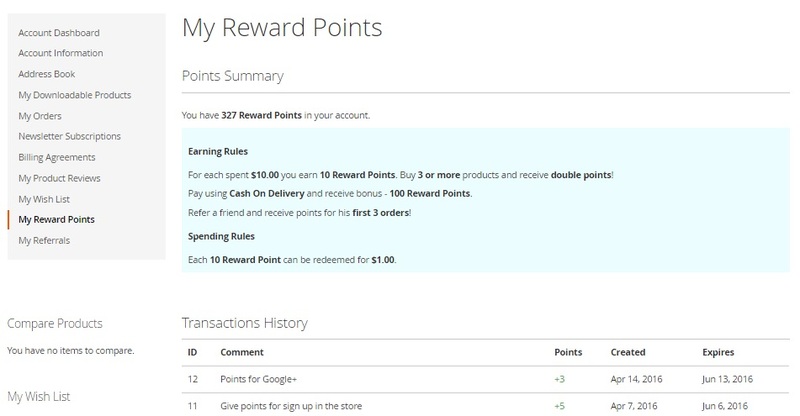 Here you can create new transactions: select a store view, use negative or positive values to decrease/increase points balance, add comments, set expiration period, and add customers. While adding a new transaction, select a customer, specify the number of points, add a transaction title, and add expiry period. To add a new transaction, specify points balance change, add a rewards history message, a message for a notification email, and select customers. 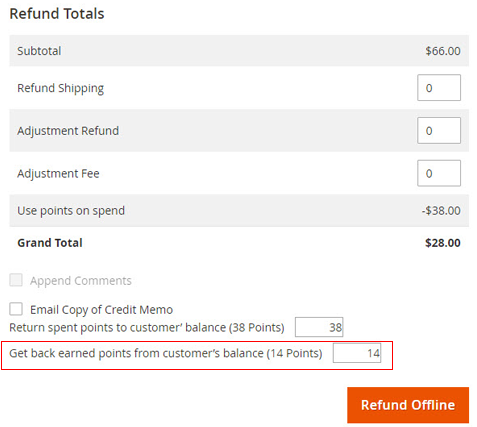 In case of the Amasty Magento 2 reward points extension, you should go to the customer information page to edit point balance manually. Although it is not the easiest way if you want to adjust point balance for several users, this approach also works. 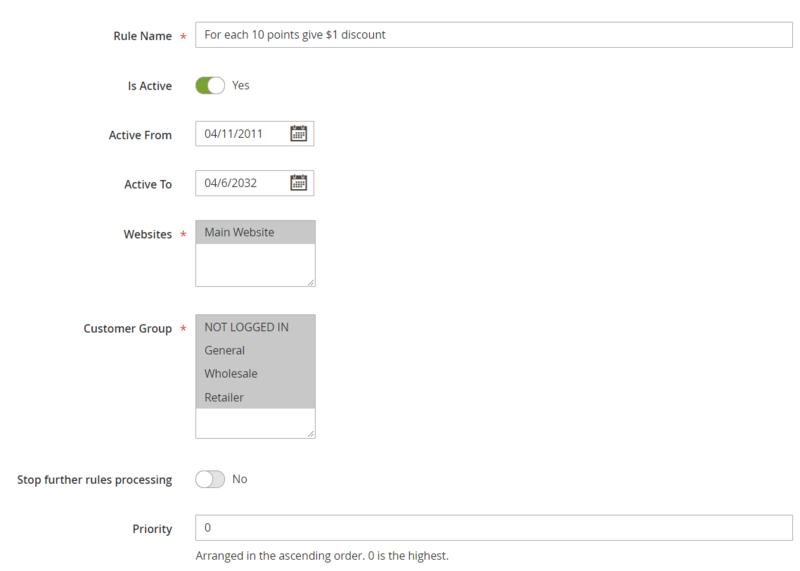 The Aheadworks Magento 2 reward points extension offers a separate section in Configuration where you can adjust notifications. 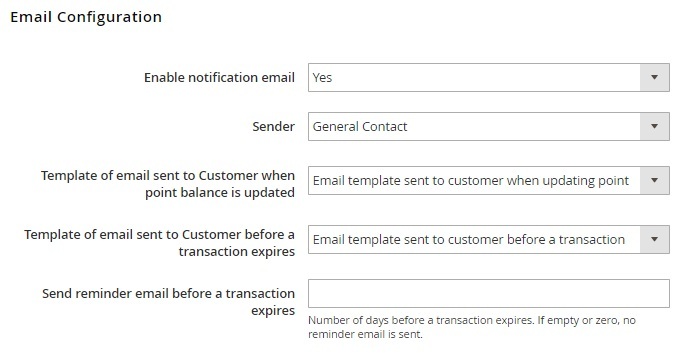 Here you select a sender, decide whether customers are subscribed on notifications by default, choose a balance update template and actions for sending notifications, select a points expiration reminder template, and specify expiration reminder timing. 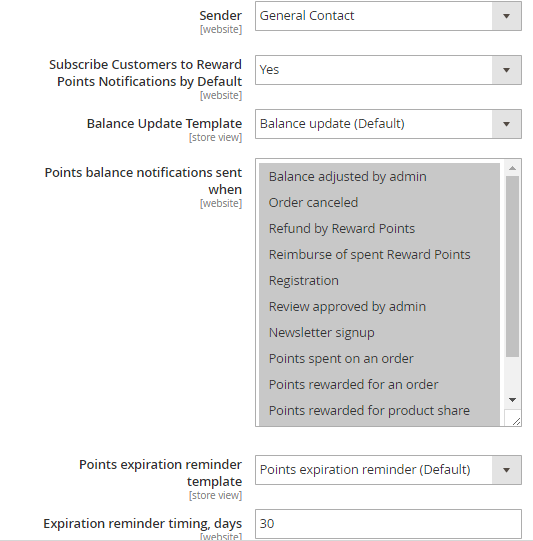 The Magestore Magento 2 reward points plugin also offers a similar section where you can enable/disable notifications, select a sender, choose templates, and allow sending emails notifying about transaction expiration. and the appropriate tab in each earning rule section. Nothing similar is available within the Amasty’s Magento 2 reward points extension. 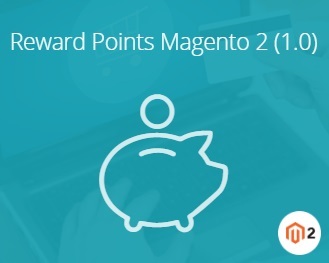 The appropriate grid of the Magestore Reward Points Magento 2 module displays only current point balance. 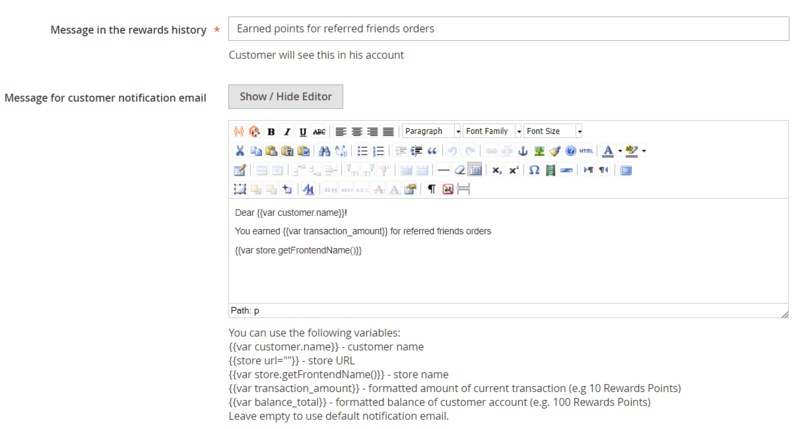 The report section of the Mirasvit Magento 2 reward points extension is more informative. It contains a diagram and a grid that illustrate points earning and spending for certain periods. Besides, you can import points here. Amasty doesn’t provide this functionality. Note that it is divided into two sections: Reward Information and Recent Transactions. One of the key factors when merchants try to find a new module for a Magento 2 website is its price tag. Since there are lots of reliable solutions with similar features, the final decision on which extension to purchase is influenced by the sum of money that can be saved. So, how much does each reward points module cost? For Aheadworks Reward Points, you should spend $349, but for M1 customers, the company offers a 50% discount. Magestore offers its product for $199 (note that the extension is not available for self-purchase now). As for Mirasvit and Amasty, their Magento 2 modules cost $149 and $249 respectively. 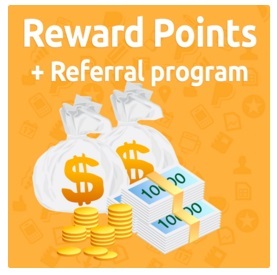 Probably, the most robust and flexible extension in our comparison is Mirasvit Reward Points + Referral Program. At the same time, it is the cheapest tool among all four modules. Amasty provides the easiest to configure Magento 2 reward points extension. 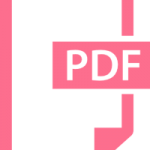 The extension has lots of limitations in comparison with its competitors, but you only have to install it to make it work, since everything is set and preconfigured out of the box. As for Aheadworks and Magestore, both companies provide reliable Magento 2 extensions that offer reward points for a refund. If you are looking for such feature, check them out. 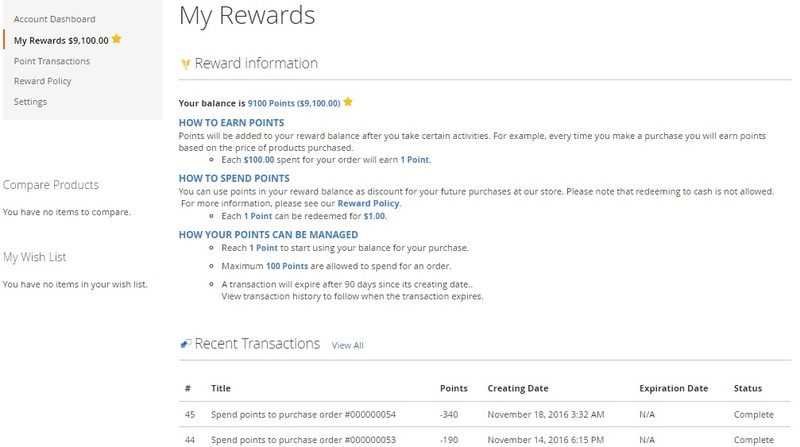 Besides, the Magestore Reward Points Magento 2 module supports import of reward points.